Jeffrey Moy is Senior Program Manager for the Culture of Health Leaders program. His experience includes implementing programs, developing leaders, and strategic planning for non-profit organizations. Prior to joining the National Collaborative, Mr. Moy was a Program Officer for the Fulbright U.S. Scholar Program at the Institute of International Education, managing a portfolio of countries in the East Asia and the Pacific region. He has also worked at the Robert Wood Johnson Foundation as a National Urban Fellow, where he managed the team creating a strategy around eliminating health disparities. Mr. Moy is an active volunteer for a number of community organizations. Currently he serves on the National Board for the Japanese American Citizens League, the oldest and largest Asian Pacific American civil rights organization. 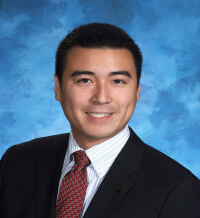 Mr. Moy has a Master of Public Administration degree from Baruch College and received his Bachelor’s degree from the University of Southern California.